Impeccable modern style villa in Benahavis with stunning views of the Mediterranean Sea. It is located within a gated complex and safely surrounded by golf courses and just minutes from the beach, restaurants and supermarkets. On the ground floor there is a large living room, dining room and modern kitchen, all open to a huge terrace with pergola, with access to the garden and pool, and fantastic panoramic views of the sea. 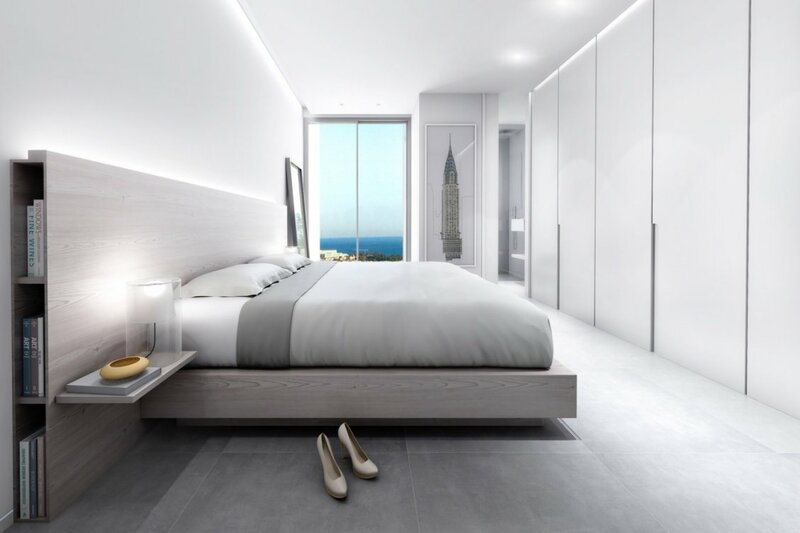 Spacious master bedroom, with sea views, dressing room, bathroom en suite. Guest toilet Covered parking for three cars. On the upper floor there are 3 bedrooms with 3 bathrooms en suite. In the basement is the service bedroom, with window and natural light, bathroom en suite, laundry area, elegant wine cellar and a cinema room to enjoy good movies. Wide interior and exterior spaces and large windows that provide plenty of light. 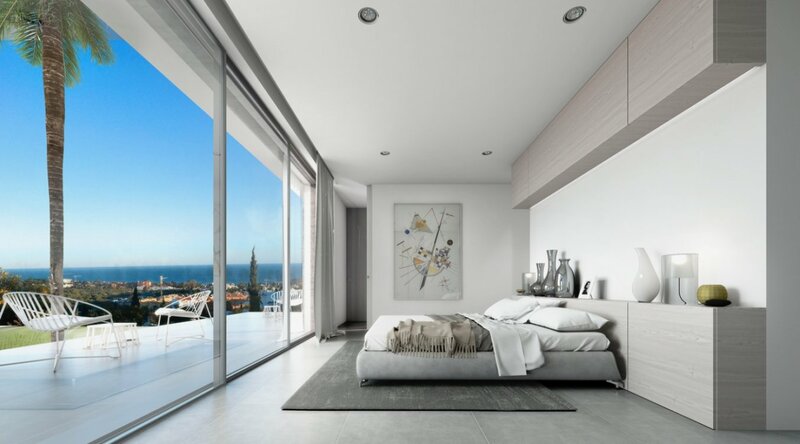 Luxury qualities: marble floors in the common areas and wood in the bedrooms, underfloor heating throughout the house, air conditioning and heating. Fireplace in the living room, equipped and furnished kitchen, open to the living room. The house is currently under construction, delivery date in March 2019. 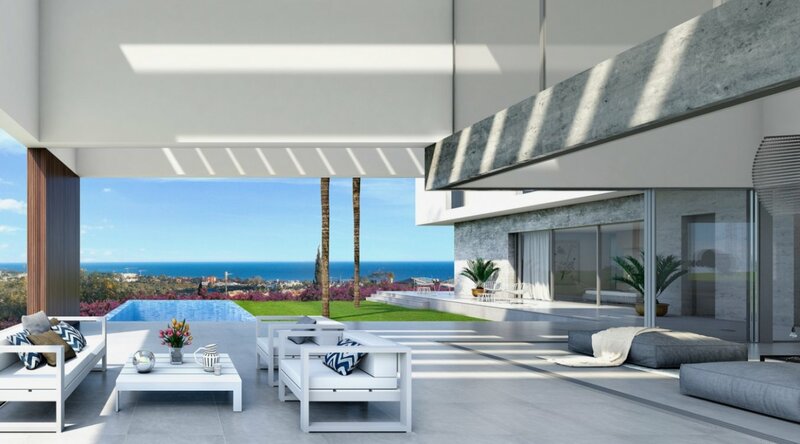 If you are looking for a luxury villa for sale in Costa del Sol, with modern design and panoramic views of the sea, do not miss this opportunity!